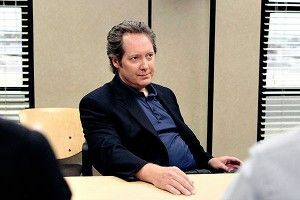 » Why Would James Spader Leave The Office? “Always” wanted this to be a one-season arc, huh? No reason not to believe that Spader wasn’t signed for only one year — but if things had worked out, he would have stuck around, right? So why the quick exit? EW speculates that “the comedy’s ratings couldn’t have been an incentive to keep him on board. NBC’s highest-rated scripted series declined to rank 28th this season, with 6.6 million viewers and a 3.4 average adult demo rating (and that’s including DVR use).” Vulture points out that “the future of the show [is] still in question — Mindy Kaling is developing a Fox pilot, and Rainn Wilson appears headed for an Office spin-off” and so maybe Spader didn’t want to be left all alone. And as Grantland’s Andy Greenwald has written, “it’s now safe to say that James Spader’s affected spaciness and Ed Helms’ unctuous neediness can’t fill the Carell-sized hole at the heart of the series.” Maybe Spader just knew he didn’t have the stuff to keep the show alive and relevant post-Michael, and decided it’d just be best to bail out and make some quick CSI-type cash somewhere on the CBS schedule. Other possibilities: John Krasinski keeps stealing James’ pudding; B.J. Novak told James he’s never even seen Pretty in Pink; Steve Carell keeps calling James at home and breathing heavily into the phone but not saying anything, even after James yells, “Steve, I know it’s you” a bunch of times.